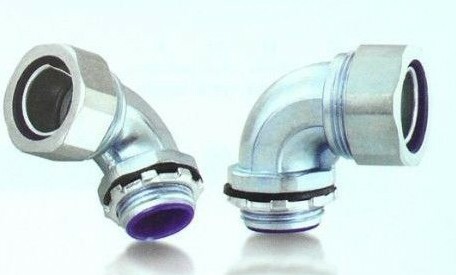 Allows for a flexible conduit connection that protects from damage due to vibration and movement, and seals out contaminants such as water, dust, oil, etc. Material : Zinc Die cast, Malleable Iron, Stainless Steel and Aluminium. Our presence in the industry for the past many years has gained us prominence for offering a wide range of electrical conduits and flexible metallic tubing. Our range encompasses tubing, galvanised concertina fibre tubes, interlock galvanised tubes, interlock stainless tubes, bare galvanised conduit, liquid tight conduit, pliable electrical conduit. Also offer metal hoses, corrugated hoses, aluminium ducting hoses, griplock galvanised hoses, stayput hoses, fibre packed squarelock hoses. The range offered by us is known for durability, optimum performance, robust construction and high tensile strength. Backed with state-of-the-art infrastructure that is integrated with a robust manufacturing facility, quality testing unit and a sophisticated R&D wing, we offer best quality products to over clients based all over the Indian Subcontinent. With the diligent efforts of our professionals and their expertise in the concerned domain, we have garnered a huge base of loyal and satisfied clients.